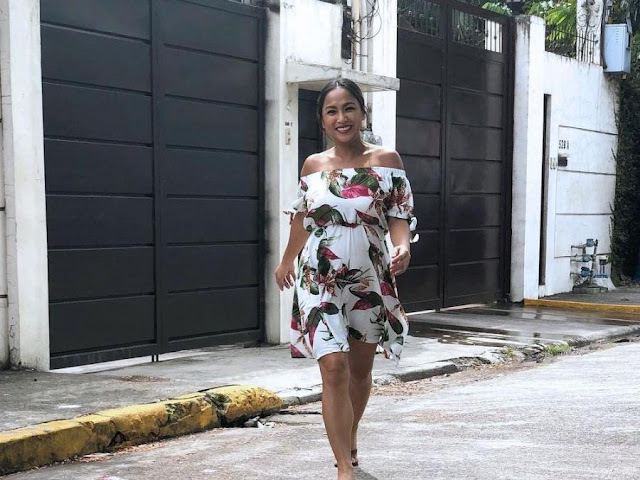 Rochelle Pangilinan, Hindi Nagpahuli sa Switch It Up Challenge Kahit Buntis - Pinoy Patrol | Your source of trending online "
Most women feel restricted with their pregnancy, but not actress Rochelle Pangilinan. A true dancer at heart, this soon-to-be-mom still can't let go of dancing even though her baby bump is growing bigger by the minute! A few more weeks and the 36-year-old actress and dancer will finally give birth to her first-born with husband Arthur Solinap. But even though her baby is almost poking out, Rochelle, who is a former Sexbomb dancer, still can't fight the urge to dance. "Hindi ko maiwasang hindi sumayaaaaaaw! Sa set ng Onanay,habang naghihintay,nagkatuwaang gawin ang switch it up challenge haha! 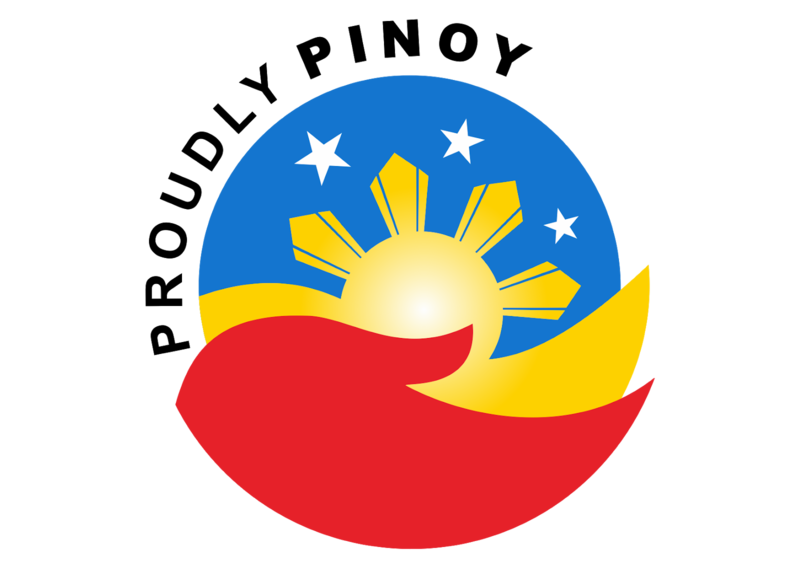 Pero syempre bago ko gawin,nagpaalam muna ako sa OB ko,pinayagan naman nya ko,namiss ko tong gawin! Ang sumayaw! Pagpasensyahan n’yo na,hindi namin kabisado ang dance steps hehe." Even Rochelle's maternity photoshoot was dance-inspired. The actress worked with Nice Print Photography to create a majestic maternity photoshoot. Even though she's already in her final trimester, the excited mom-to-be still looks as graceful and as glowing as ever. You would think that swaying would harm the baby, but there are some cases that actually prove otherwise. According to online sources, women who sway their hips during labor may have an easier time during childbirth. 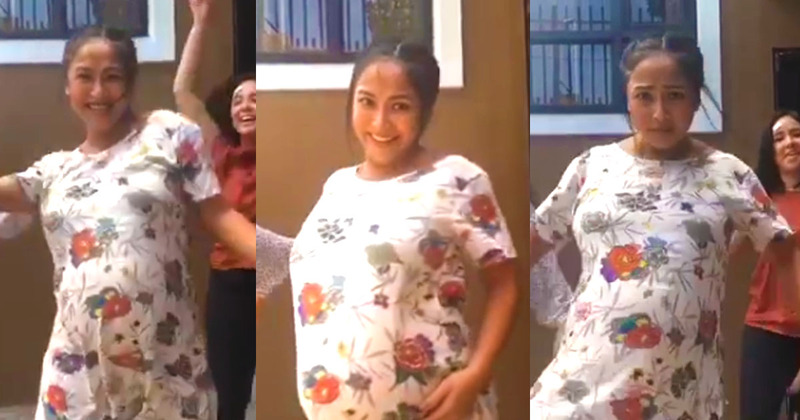 Are you also excited to see Rochelle Pangilinan's baby? We'd love to hear from you, so don't hesitate to share your thoughts with us in the comments section below. For more updates on the latest happenings, feel free to follow us on Facebook. Hindi pa Ready? Kathryn Bernardo, Nagsalita na Tungkol sa Pagiging Susunod "Darna"